The political ping-pong commonly seen in the U.S. leads to legislative changes that make it necessary to reevaluate one’s tax strategies every few years. However, there are also important estate planning techniques that are not directly affected by legislation and changes in tax law, but that can still make a big impact on wealth preservation. From regularly updating your will to consistently moving assets off your balance sheet, several estate planning items should be added to your to-do list. McManus & Associates Founding Principal John O. McManus recently discussed with clients, “5 Estate Planning Action Items that Remain Relevant Regardless of Shifting Political Winds.” Listen to a recording of the call and find details below. Has the relationship with any of the people named changed? Has the life situation of any of those named changed? Has the health of any of those named changed? If one’s parents were initially named as guardian for minor children, but the parents are now older and in poor health, for example, alternative guardians who can keep up with kids may need to be named instead. Are all of the people who have been named still geographically appropriate? For example, if one’s trusted power of attorney moved across the country and cannot now serve in an emergency, a new power of attorney should be named. Are the amounts left to each beneficiary still appropriate? Again, how is one’s relationship with each beneficiary? For instance, has there been a falling out with any of them? Are there new beneficiaries (nieces, nephews, charities, etc) one now wishes to include? Normally, documents drafted by McManus & Associates cover new children and grandchildren automatically. Are any of the beneficiaries at risk with inheriting assets? Are they the target of a divorce, legal action, or the victim of financial strife or addiction, for example? Finally, think through whether the current trust provisions make best use of the law for asset protection purposes. Assets will be in a protected vehicle, meaning they can be passed on to the next generation outside of the children’s estates, as well. A trustee can manage and control the assets while the children are minors. The spouse should be added as a beneficiary, and the grantor should retain the power to take loans from the trust. A family business is typically a long-term investment, so sell it into a trust. This provides an income stream to older individuals who may wish to surrender the day-to-day operations of the business without losing access to the economic security of the asset. It also puts the asset in a protected vehicle that is exempt from estate tax. Sell business interests when the value is modest so that growth takes place outside of one’s estate. Selling a business interest also allows for valuation discounts, with greater equity going into trust. Real estate can be sold into trust for a similar purpose as family businesses. Life insurance can be sold into a trust to avoid the three year look-back. If you gift life insurance into your irrevocable trust and pass away within three years, the IRS will claw that asset back into your estate. The sale prevents this. Assess the income tax benefits of holding assets inside one’s estate versus the estate tax benefits of pushing them outside of one’s estate. With a critical eye, consider swapping estate assets for the trust’s assets, and vice-versa, to maximize the income tax basis step-up. A step-up in basis is the readjustment of the value of an appreciated asset for tax purposes. With a step-up in basis, the value of the asset is determined to be the higher market value of the asset at the time of transfer, not the value at which the original party purchased the asset. When an asset is gifted to an individual or trust, there is a carryover of the original basis – meaning there is no step-up. Although the asset is now outside the grantor’s estate for estate tax purposes, upon the sale of the asset, capital gains tax will be due. When an asset is included in a descendant’s estate, the asset receives a step-up in basis to the date of death value at that time. The asset can be sold to avoid any capital gains tax. Family unity can be created through a consistent emphasis on giving back. Foundations and charitable trusts also both have income tax benefits. The tax rates may change, but income tax is unlikely to go away, so this will always be an important piece of a good planning strategy. Donations should be reviewed annually to assess portfolio performance, confirm that the foundation is meeting minimum distributions for charity, and verify that the donative patterns are still desirable. There are a limited number of days left in 2017. McManus & Associates Founding Principal John O. McManus recently discussed imperatives before year-end for the firm’s clients, in light of significant current events, concerns, and considerations, and amidst a changing tax and economic environment. Listen to the call below, as well as review the list of topics that are covered. 1.Tax Reform – How will potential estate tax repeal impact you? 2. Estate Freezes – You have exhausted much of your lifetime gift exemption; how can a GRAT aid in shifting wealth in a tax-effective manner? 3. Low Interest Rates and the Market – How does the continued low-interest rate environment support the transfer of investments to the next generation? 4. Leveraging Existing Trusts – How can you deploy previously gifted assets to participate in other estate tax minimization strategies? 5. Family Limited Partnerships – What actions should you be taking in light of the new Partnership Audit rules? 6. Estate Tax – Can estate tax be eliminated if you have taken full advantage of all wealth transfer opportunities but still have a sizable net worth? 7. Asset Protection – Are you confident in your protections against exposure to personal and professional liability? 8. Life Insurance – How does premium financing of life insurance by a family member or bank shift wealth and minimize tax? 9. Planning with Basis – Can you take advantage of upstream gifting to an older family member to minimize capital gains tax? 10. Compliance – Are you certain that you have met the IRS requirements for reporting gifts that you have made in 2016 and prior to 2016? Andrea Coombes, reporter for the Wall Street Journal, recently spoke with McManus & Associates founding Principal John O. McManus for a story looking at married couples who keep their investment accounts separate and sometimes even their house, too, with only one spouse on the title. For these duos, their tax-deferred retirement accounts are typically owned singly, as well. A top AV-rated attorney, McManus helped Coombes examine some of the potential problems that can arise when a couple keeps assets separate, in addition to solutions to those problems. What McManus is referring to is a completed gift of a 50% interest in the residence to an irrevocable trust. A creditor could attack the interest in a revocable trust, but a properly drafted irrevocable trust agreement with spendthrift provisions is generally not accessible to a creditor. To get details on the other three items on Coombes’ list, check out the full story here. McManus & Associates can help you determine whether it’s best for you and your spouse to keep assets separate (and, if so, which ones). Give us a call at 908.898.0100 to discuss. Q: What are the responsibilities of an executor? Q: Do you need to have a financial or legal background? Q: How much time does it take to be an executor? Q: Should you have more than one executor or is it best to have only one? Q: Is it best to ask someone before you name them in your will as executor? Q: Can someone turn down the job of executor? Q: Can you get compensated for the time you put in as an executor? Q: Can you be sued as an executor? Q: Is there anything an executor can do to reduce family fights over personal property? 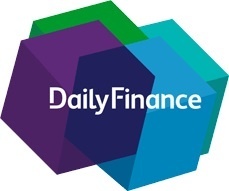 To find all of our answers to Lerner’s questions, check out the Daily Finance article here.